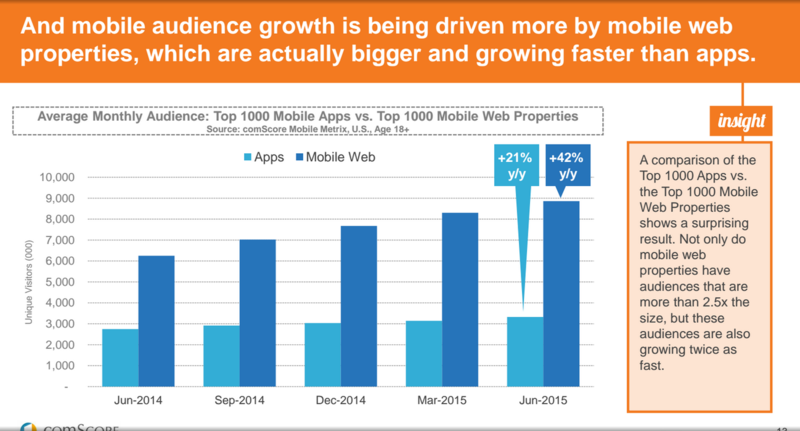 comScore released a mobile web/app report last week that is very insightful. The data is US only so it is skewed in that respect and many interesting things are happening outside of the US and the report misses them. But regardless, there are some important conclusions from the report and the title of this blog post is the biggest of them. You can download the comScore report here if you are willing to give them some of your personal info. First things first. Mobile web unique visitor growth is faster than mobile app visitor growth and the lines are diverging. This is because your mobile website is the top of the funnel for your user acquisition on mobile. It is where people land when coming from search, email, social media, text links, etc, etc. The mobile web scales much better. 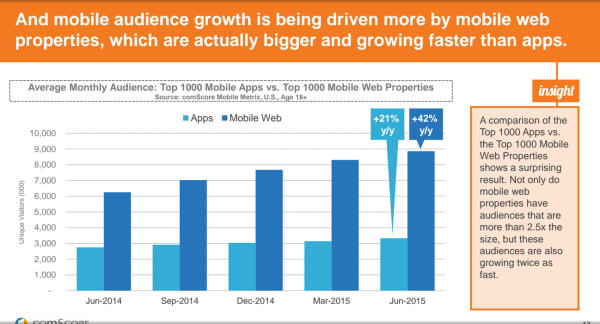 You can build a large audience on mobile web much more easily than via mobile apps. The things that worked in the desktop world tend to work well in the mobile web world, but don’t work in the mobile app world. So you have to use a two step process in mobile. 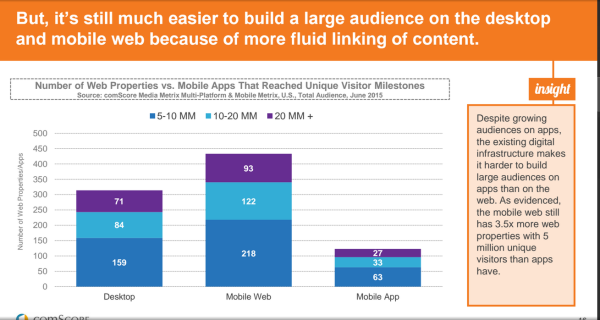 Mobile web is top of funnel and mobile app is bottom of funnel. I like to think of this way. 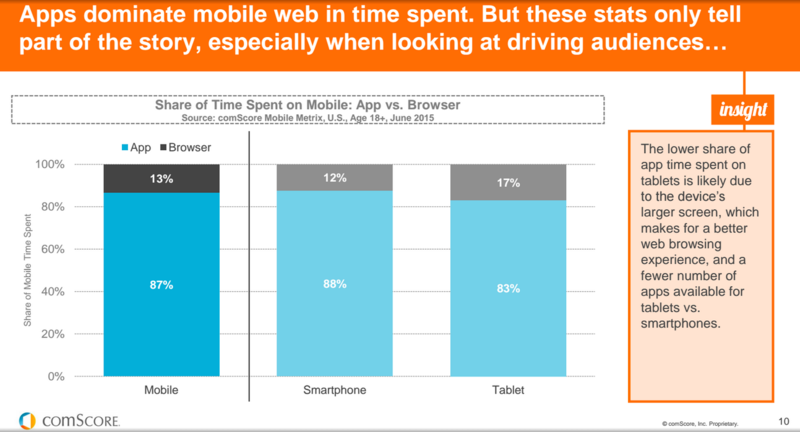 The mobile web is the window of your store. Users window shop on your mobile website. Getting them to download and install and use your mobile app is like getting them to come into the store. And that’s where the action is long term. Disclosure: I was a seed investor in comScore in the late 90s, served on their board for something like eight years, and I still own some comScore stock.